No, this is not going to be one more article discussing how SD-WAN (routers in remote office branches and data centers) will enable IoT (devices which use the internet to talk to their controllers). Instead, I invite you to join me on a journey wherein I discuss an abstract thought of how SD-WAN itself can be perceived as IoT. IoT: The internet of things is about connecting internet-enabled devices that relay information back to us, to cloud-based applications and to each other (device to device). SD-WAN: Software-defined wide area network is a hybrid WAN that is controlled via software. SD-WAN software manages edge routers and offers more flexibility than the protocols built into standard routers. Edge devices: IoT devices and gateways are spread across homes, buildings and cities (for example, Google Nest or parking meters). SD-WAN edge devices/gateways are spread across remote office buildings and data centers. As shown in the above diagram, both IoT and SDWAN usually have several edge devices spread across a geographical area. Common cloud controller: IoT and SD-WAN edge devices communicate with a common controller, usually in the cloud. Edge devices continuously transmit data to the cloud. 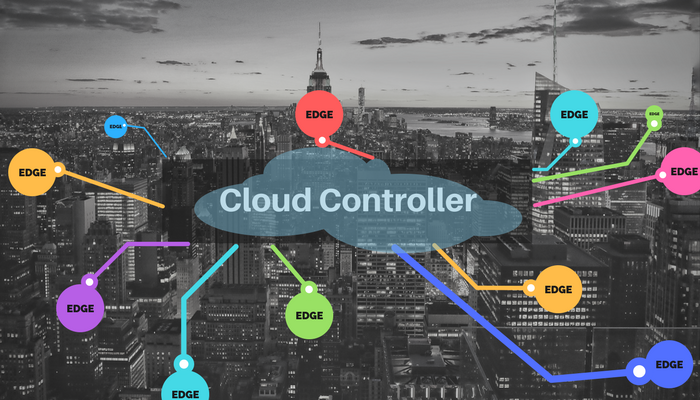 Action control: Most of the time, the controller is the one making decisions for IoT and SD-WAN edge devices. IoT and SD-WAN edge devices report some data to the controller. The cloud controller in turn informs and lets the IoT and SD-WAN edge devices perform an action. Cloud application: Usually there is a cloud application which allows users to access, view, manage and control the edge device’s behavior. 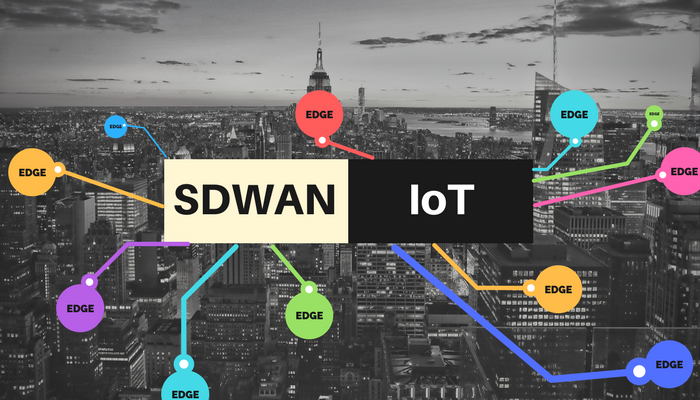 The only major difference between IoT and SD-WAN is that an SD-WAN edge device’s primary action is to route traffic via path A or path B securely. But if you think about it, IoT edge devices will have some action to perform, and in the case of SD-WAN, it’s the action of routing traffic. OK, so what? Thinking out loud here. Let’s brainstorm. Amazon Alexa is the famed voice of IoT. If you have a bunch of IoT devices at home, all you need to do is talk to Alexa to control the IoT devices. Recently an SD-WAN company demonstrated that Alexa can be the voice of SD-WAN. Deploying, accessing and controlling SD-WAN edge sites across the globe can be done sitting at home and talking to Alexa. This makes me ponder, let’s ask ourselves: Is/can SD-WAN be IoT? If so, what are the possibilities? Let’s brainstorm more on this abstract thought. Put a Broadcom switch chip in Amazon Alexa or Google Home and sell it as a “talking router” to consumer market? No more plugging in via Ethernet cable to the router to reset or configure it. Just talk to your Alexa for an internet connection. With the increased use of IoT devices in buildings, there will be an increase in traffic from each of the IoT edge device to its cloud. Instead we can use an IoT gateway (see figure). 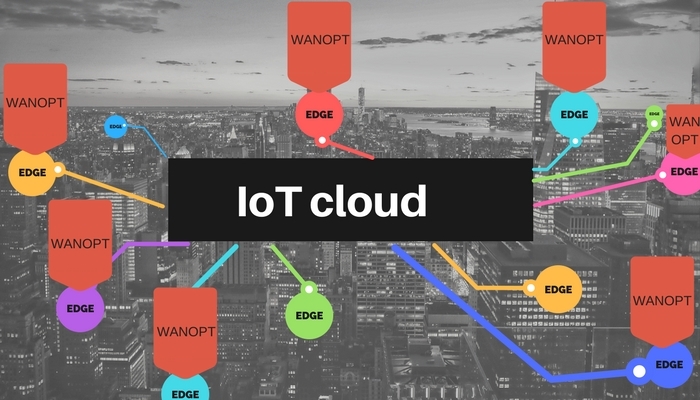 An IoT gateway is like an IoT hub at your home or branch office that collects all the data from IoT edge devices and then “securely” transmits it to the cloud. The data from an IoT gateway to the cloud is mostly repetitive in nature. If the data is repetitive, why not optimize this link from the IoT gateway to the cloud controller by using data deduplication? A few companies, like Riverbed Technology, Silver Peak Systems and Cisco, do have SD-WAN edge devices with integrated WAN optimization capabilities. If we use an SD-WAN gateway as an IoT gateway, then we can optimize the link from gateway to the cloud. Hence, when an optimized SD-WAN gateway becomes an IoT gateway, it will save a lot of critical bandwidth. 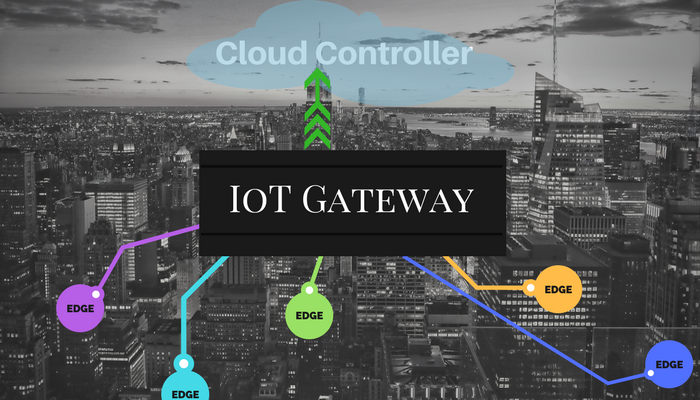 As discussed above, an IoT gateway is like an IoT hub at your home or branch office that collects all the data from the IoT edge devices at your home or office and then “securely” transmits it to the cloud. SD-WAN’s main purpose is to securely transmit encrypted traffic via internet/MPLS. If we go by the above logic of an SD-WAN gateway being an IoT gateway, then IoT solution providers can worry a little less about securing the data from the IoT gateway to the cloud since SD-WAN edge devices (the SD-WAN gateways hosting the IoT gateways) can encrypt the traffic. In the future, instead of buying a separate IoT gateway and SD-WAN gateway, enterprises can just buy one integrated device the moment we make an SD-WAN gateway the same as an IoT gateway. How about optimizing directly from IoT devices to the cloud? Imagine 20,000 windmills all transmitting data to its cloud controller. If the data from each of these IoT devices grows substantially, then the IoT device itself becomes the bottleneck. In the future, we may have IoT devices with built-in SD-WAN and mobile optimization capability. This will save bandwidth from numerous IoT devices transmitting data to its cloud controller. Most home, building and enterprise IoT devices communicate with the cloud using Wi-Fi available in the home or building. If a company can create a single device to act as a Wi-Fi access point with IoT capabilities along with the SD-WAN capability of securely routing traffic, then this would be the complete SD-WAN + IoT equation. Alright, let me stop here and let you think more. Thought for the week: Is SD-WAN equal to IoT? Maybe, maybe not. Disclaimer: Some of the above conceptualized products may not exist in reality today. These are possibilities. Cheers to endless possibilities. Based on your disclaimer at the end of the text, are not this and this products examples which can enable the idea exposed in the article?